Home » Development » Introducing RememberThis: a new, free app for Microsoft Teams to make you look good all day long! 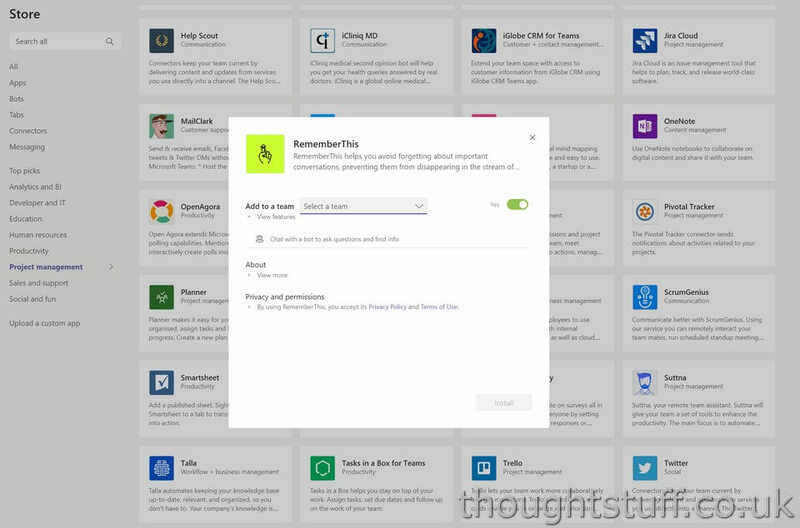 Introducing RememberThis: a new, free app for Microsoft Teams to make you look good all day long! 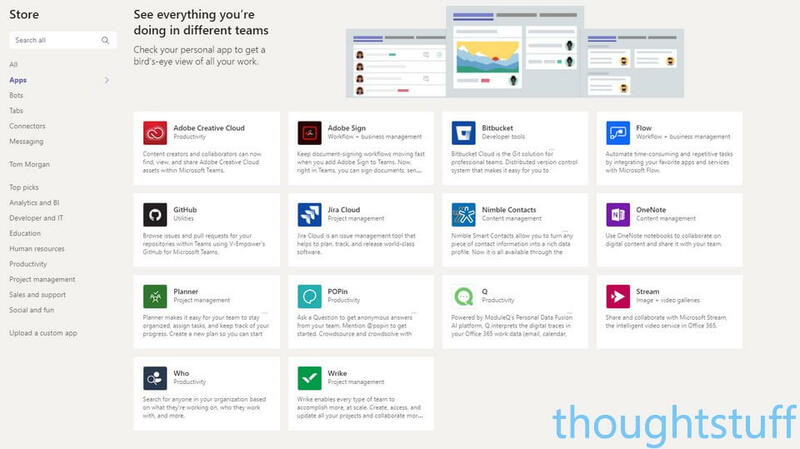 It’s been a little while coming, but I’m very excited to announce I’ve just launched my first Microsoft Teams app into the Teams App Store. It’s called RememberThis, and it will prevent you from forgetting about important conversations in Teams, making it seem like you and your team are always on top of everything! There have been a few reasons why I’m just now getting around to publishing an app into the Store. Primarily, I didn’t want to just publish another “me too” app that replicated existing functionality or wasn’t actually useful. I wanted to solve a real problem. A lot of the apps in the Store today are around bringing existing tooling into Teams, but I didn’t have any existing tooling. Additionally, time wasn’t really on my side and there’s been plenty of other things to keep me busy. However, some persistent nagging from my Modality Systems colleagues Tom and Lyndsay pushed me into action. I can’t remember which one of them first had the idea (so I’ll let them fight that one out) but it became clear that there was definitely a need to be filled. The problem is that as Teams is used more and more it becomes the defacto place to have conversations about a particular project. That can mean many different conversation strands. Some of these are fleeting and last only as long as it takes to answer a query or clarify a position. But others are longer-lasting, involving process waits and external people. With the two cadences of conversation happening in a channel, some important but slow-moving conversations can disappear into the distance as the newer (but less important) conversations take the prime position. How do you make sure that you don’t forget to come back and review these conversations, to see if people need reminding or processes need moving along? In Teams, you can Save conversation threads for review later, but this is quite a blunt instrument and doesn’t proactively remind you to review them. This is the problem that RememberThis solves. RememberThis allows you to set a timer on a conversation, bringing back to your attention at some point in the future. When it’s time, RememberThis will add a reply to the conversation. This will do two things: firstly it will bring the entire conversation back into the feed for that channel (because there has been activity on the conversation). Secondly, it will add an item to your Activity feed for the conversation. No more forgotten conversation threads! I think that this project will evolve over time as people try it out and let me know whether this is a good approach to remember conversations in Teams, or whether there are better ways to tag and alert. If you’d like to be part of that journey, please feel free to try RememberThis out and let me know what you think, either in the comments or on Twitter. First of all, thank you very much for this free app. I really like the idea. Setting time intervalls works well for me. But if I set a reminder for a certain time, it would be better if the app would consider my time zone instead of UTC. At the moment I have to convert to UTC first if I want to set a reminder. Hi, thanks for that but the app does not respect Teams timezones, how can we setup times zones?